It did inspire me to consider my favorite guitarists and those who inspire me to play better. I think it's clear by now that I am a huge Rush nerd. Alex's guitar work has always been amazing to me. His smooth and effortless fretwork, along with the great songs and memorable riffs put him among the elite. I was in college when a friend suggested I pick up a rock, instrumental album called "Surfing With The Alien". The album was a masterpiece of precision and beauty. I was hooked and have been a Satch fan ever since. Watching him in concert is like watching a star athlete at the top of his game. If you enjoy rock with a hint of Jazz and Blues, then Joe should be high on your list. The readers of Guitar Player Magazine just voted him Best Metal Guitarist. What more can you say about a guitarist who keeps upping his game with every release. Not only technically impressive, John seems to feel music like you and I breath air. Before his tragic death (he was shot to death while performing at a club) Dime changed the sound of metal music. His snarling, growling, vicious style of playing has influenced every guitarist that followed. His playing always reminds me of fighting because it's so aggressive and explosive...simply amazing. If you've ever seen "Bill and Ted's Excellent Adventure" then you've heard Nuno. 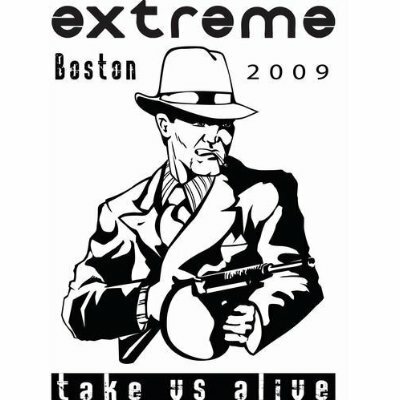 Remember the crazy guitar work playing during the mall chase scene, it's actually an Extreme song titled "Play With Me". Nuno reached elite status with the next album "Pornograffiti". Without a doubt, some of the best riffs and fills that you will ever hear can be found on this disc. One listen to "Rust in Peace" is all it takes to convince any guitar aficionado that Dave deserves to be on this list. The amazing fretwork of Dave and fellow guitarist Marty Friedman is truly epic. The lineup has changed over the years but Dave continues to shred with the best of them. There are other great guitarists, but these are the ones I felt were the most diverse and talented, and who continue to improve and progress musically. And bottom line, they're my favorites! If you're into movies and love to catch the latest buzz in Hollywood, then this site is for you! Dezz was nice enough to answer a few questions, too. What prompted you to start the HOLLYWOOD SPY blog? I've been writing about movies around the Net for at least five years now, but at certain moment I felt I needed my own space, so I created HOLLYWOOD SPY. 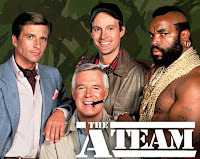 The main aim always was and still is - connecting with people who like discussing similar topics with me -films, TV, showbiz... I also wanted to create a blog which will be a haven of positive energy. Most movie junkies are very negative, they drool only over horrors and violent action movies and like criticizing a lot, while I wanted something different - a place where you will feel the positive vibrations. Everything in HOLLYWOOD SPY is devoted to that - the colours, the layout, the pictures, the posts, the polls .... you will never see anything negative there. The message is that we should give love and support to others always and everywhere. HOLLYWOOD SPY always tries to cheer up the readers, and I guess it's working since I will have a total of 100,000 readers and visitors this summer. Have movies always been your obsession? I'd rather say I'm obsessed with artists than with movies. 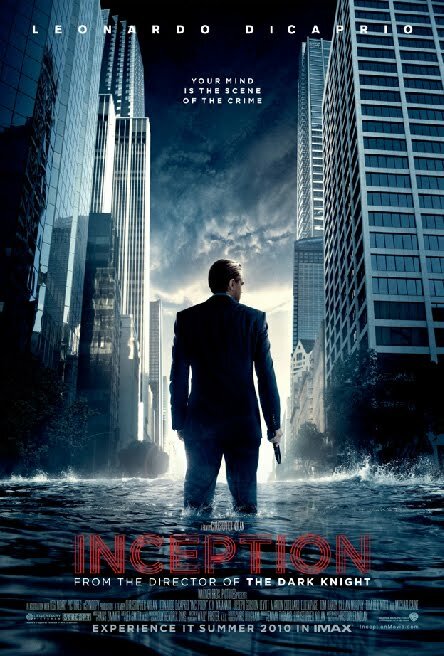 I do adore films, especially the ones which can touch you deeply and profoundly. But I prefer actors and their performances. In this grayish world and era of alienation, I like to support true talents, true beauty, true hearts and artists who put passion in their roles and everything they do. You will see that my favourite actors, actresses and directors are people with vision, people with inner power and people with genuine soul. Creativity and talent should rule the world, not the thirst for power and superficial ambitions. As long as I live I shall fight for that. Yes, HOLLYWOOD SPY's secret headquarters are in Vojvodina (Central Europe). The spying business became much easier for me after I've hired the penguins from Madagascar and put them in my team. Those are some seriously resourceful and witty creatures :) My personal mafia. You work for a publisher – tell us a bit about translating books and other duties. I've been working as a book translator for three years now, and I've translated 12 books so far for the readers in Serbia. It's a job which gives you an opportunity to work at your home, to live in the world of imagination and wisdom, but it requires a lot of effort, dedication, talent and knowledge. While translating the books you writers wrote, not only that we translators have to translate all the words, terms, names, expressions, metaphors (all of which can sometimes get extremely tricky) but we also try to transmit your sentence structure, your style, your vocabulary, your creative vision, the very soul of your novels, we even have to translate your mistakes. :) That's why we probably know your books better than you writers, yourselves, since we have to dissect each and every sentence and word in the process of translating. It's not an easy job: when I'm translating a historical book, I have to find a lot of archaic words an terms in my own language to translate the English ones and transmit the atmosphere of the original work, it's the same when a story has exotic or modern setting and I have to find exotic or modern words and expressions. This is why every translator is actually a writer himself, otherwise our translations would seem mechanical and stiff. Beside translating, I also write prefaces and blurbs for book covers, since books sell better when we have a good and attractive blurb, and I also take part in choosing and making a book cover if we decide to make a new one. Stunning book covers also sell books much much much better. Believe me. Besides movies and books, what else strikes your fancy? Well, I'm officially a professor of English language and literature, but as I've said I work as a translator of books. I also teach English when they pay me good :), usually in companies and firms where I teach English to business people and managers. I'm also a fashion designer, an interior designer, a nutritionist, a poet, a journalist, I love cooking and all kinds of design, I'm also good in public relations and I've worked as a PR, I also have a degree in Russian language but I don't really use it, but the thing most friends and people around me like to use and abuse :) is the fact that I have a talent for psychology so for most people I'm their favourite adviser, a shoulder to cry on and their Aunty Agony :)) And I couldn't live without music, and currently I'm absolutely obsessed with ONE REPUBLIC. I bow to the movie master! Anything you’d like to add, Dezz? 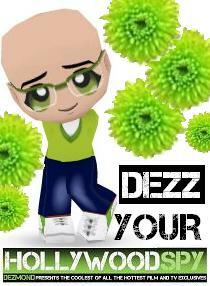 Thanks, Dezz! And I'll check on that photographer... Maybe he fell into a worm hole! And remember, HOLLYWOOD SPY LOVES YOU AND THERE'S NOTHING YOU CAN DO ABOUT IT! 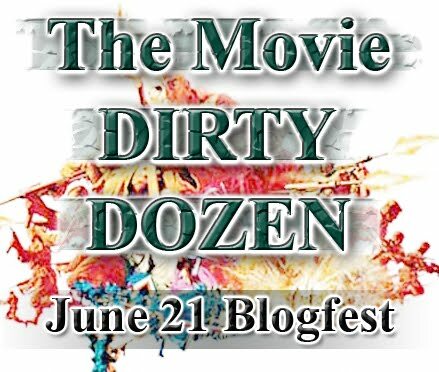 The Movie Dirty Dozen Blogfest is Here! 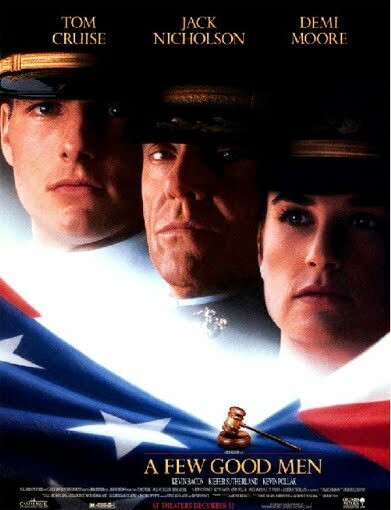 Time for everyone's Movie Dirty Dozen! 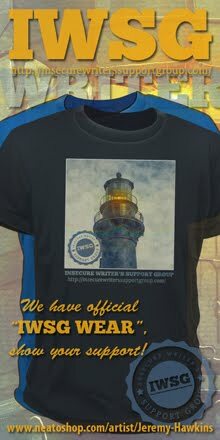 Don't forget to visit the other blogs participating in the fun! A note about the Twelve. I am such an unabashed movie fanboy that I could make a list of 100's or 1000's. It took me a while to choose the right films. My criteria was simple, I chose films that were inventive and memorable. But the crux of my choices rested on the questions: Can you watch this movie over and over without the film collapsing on itself? Does it get better with age... or worse? See if you agree with at least some of these! 1. 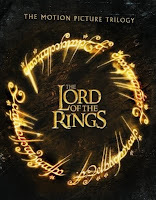 LOTR Trilogy - What an amazing piece of work from Peter Jackson and the team from Weta. Every frame has been lovingly crafted with intricate detail and care. It's quite apparent that Peter Jackson not only loved the LOTR books by J.R.R. 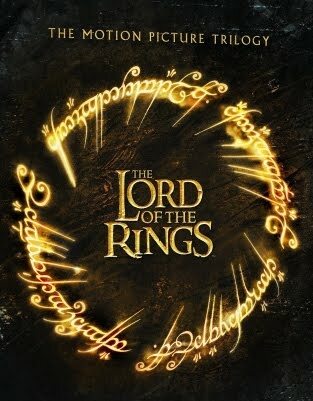 Tolkien, but also poured so much effort into making films that appeal to the broad masses as well as the fanboys. Take the time and invest an entire day in the extended cut trilogy. 2. Mystery Science Theater 3000 The Movie - I am a huge fan of this great cult series. Joel, Mike and the bots have been like family since the shows inception, so I was so excited to see a big-screen version of my beloved show. Watching MST3K in the theater was such an amazing experience. For those of you unfamiliar with the show (shame on you), Mike and the bots (Tom Servo, Crow, Gypsy and Cambot) are trapped on the satellite of love and are forced to watch bad movies orchestrated by the evil scientist Dr. Clayton Forrester. The cinematic stinker that the crew skewers is "This Island Earth" and it is played up for big, big laughs. 3. Memento - Christopher Nolan (Batman Begins, The Dark Knight) burst on to the movie scene with this amazing, mind-bending film. 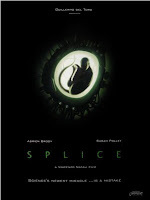 Told in reverse, the story centers on a man (Guy Pierce) who is searching for his wife's killer while suffering from short-term memory loss (stemming from the attack on his wife). Most films require only a tiny amount of brain computing power (if any at all). Memento requires your entire brain stay focused on the events unfolding as you are asked to follow a narrative playing in reverse. Every time you think you know what is going on, the next scene deconstructs every notion in your head. A masterpiece. 4. Blazing Saddles - One of the most oft-quoted films is also one of the funniest movies of all time. Mel brooks spoof of the old west and a very telling play on racism is timeless and hilarious. 5. 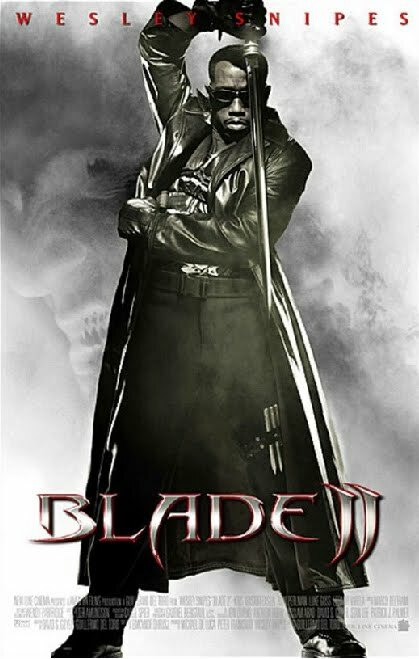 Blade II - I was trying to find the right Guillermo Del Toro film to add to my list. Hellboy, The Devil's Backbone and others were all great films but Blade II took a cool movie premise and turned it up to 11. This is one of my favorite experiences in a theater. The crowd was so into the film that I didn't mind the hoots and hollers. It just added to the vibe and ramped up the fun. 6. Serenity - It's like Christmas when one of my favorite Sci-Fi shows of all time ("Firefly") gets the big-screen treatment. The characters are great, the dialogue crackles with energy and wit and the show is given a wonderful send-off. 7. A Few Good Men - Another film with so many great lines and great performances. The ensemble cast is brilliant and rounded out by a truly memorable performance by Jack Nicholson who chews up every scene. 8. 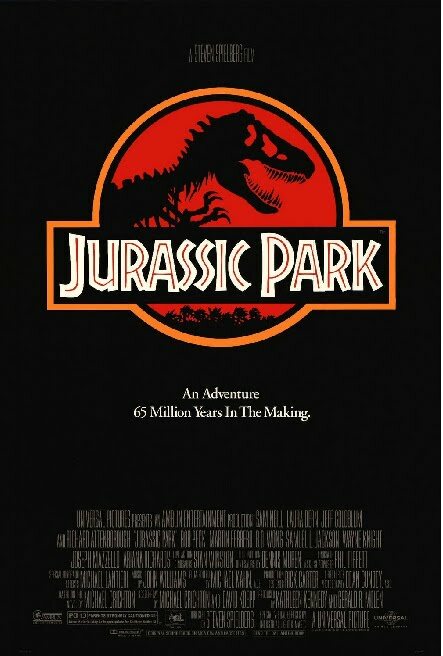 Jurassic Park - I remember reading the novel by Michael Crichton in about a day and a half and thinking there was no way they could turn this into a movie (but hoping they would try). Fortunately, Steven Spielberg picked up the gauntlet and ushered in a new age of summer blockbuster. So many jaw-dropping moments and amazing action set pieces. This movie took my inner child out for a two hour+ romp and I feel that way every time I watch it. 9. 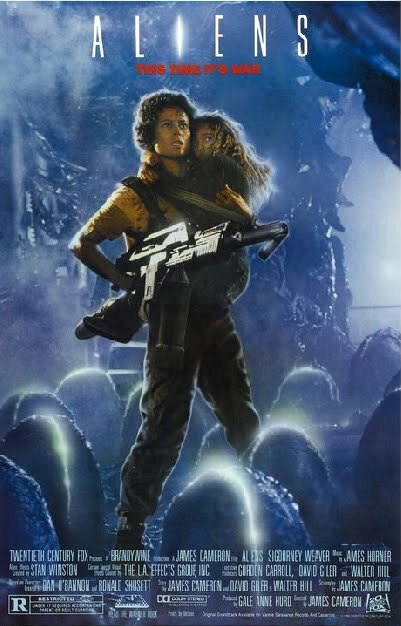 Aliens - James Cameron took a creepy, slow-paced, brooding film (Alien) and turned it into a non-stop roller coaster ride of action and excitement. If you’re a fan of this film (and who isn't) you quote lines from this movie all the time. This film is a non-stop juggernaut of action that keeps ramping up the excitement and tension. I'm a huge fan of all of Cameron's work but this one is truly epic. 10. Raiders of the Lost Ark - This is as close as it gets to the perfect movie. Great pacing, amazing set pieces, and wonderful characters. This movie had me grinning from ear to ear and remains one of my all time favorites. This should be required film school viewing when it comes to pacing and editing. Spielberg has so many great films to his credit that he must be considered as the finest director of all time. 11. Terminator 2: Judgment Day - Sporting a big budget and a cool twist, this sequel to "The Terminator" was an event movie. James Cameron took the world of Skynet and created an entire mythos that is still relevant in the minds of all fanboys and Sci-Fi aficionados alike. 12. Star Trek: First Contact - I had to include a Trek film. I have told my wife that I could watch the crew of the Enterprise sit around a campfire and belch for two hours. Fortunately, this film is so much better than that. 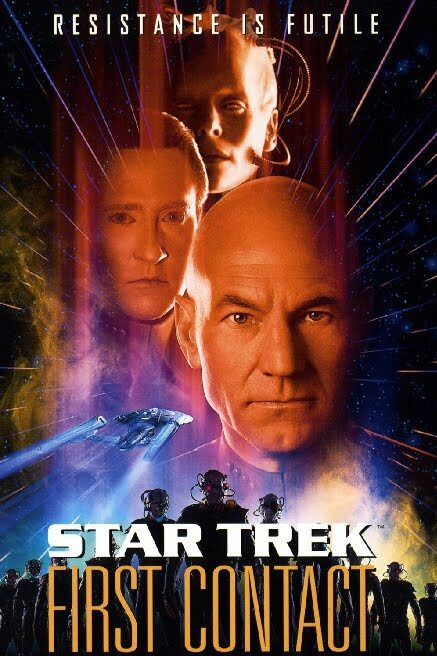 With a great time-travel premise, an exciting enemy (the Borg) and the next gen crew this is my all-time favorite Trek. 13. (Baker's Dozen): Evil Dead II/The Crow - Love both films and couldn't decide which one to include so here they are. Sam Raimi's "Evil Dead II" is a work of pure, creative genius. Shot on a shoestring budget, Raimi employs every camera trick known to man, and a few he made up. Add to the mix an amazing performance by Bruce Cambell and you have a truly creative horror/comedy cult classic. From a graphic novel by J.O. Barr, director Alex Proyas crafted a stunning, visual feast of violence and revenge. What really sets the film apart is the work by Brandon Lee. 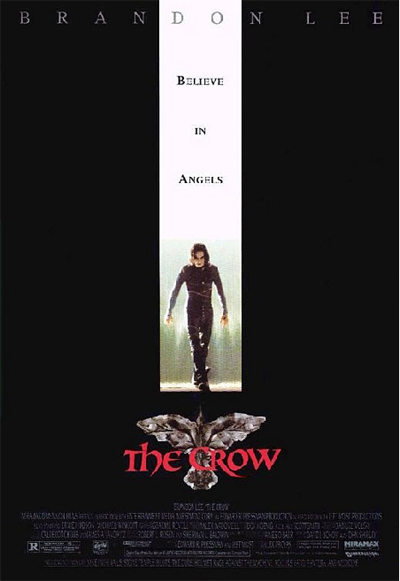 For those of you who don't know, Brandon Lee was accidently killed during the making of this film when a prop gun was filled with live rounds. This tragedy has made an imprint on the film, which seems haunted and sorrowful. I left out so many films that I wanted to add, so check back Wednesday for a fresh list of movies that almost made the list. I do have to provide an update on one of my favorite bands. Rush was honored with a star on the Hollywood Walk of Fame on June 10! Ironically, they are still not in the Rock ‘n’ Roll Hall of Fame because the owner hates Rush. Go figure! I've been watching some of the World Cup. I couldn't watch it for long today, though. The drone of thousands of plastic horns started to give me a headache. Has anyone else noticed this? It sounds like a giant swarm of bees! Must be driving the players nuts. More than one sportscaster has mentioned this issue, too. Guess I'll have to watch with the volume down. 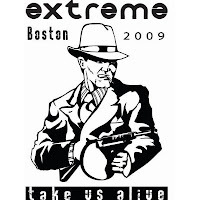 Also caught the new Extreme concert DVD this weekend on HDNet. 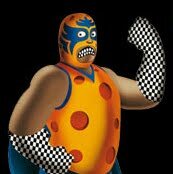 (Remember Extreme? More Than Words and Get the Funk Out?) 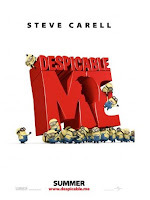 I have to pick up this DVD. They sounded amazing in concert - crisp, clean and sharp. Nuno is incredible. The dude can play guitar! I was just in awe. I'm pleased so many have signed up for The Movie Dirty Dozen next week! I also interviewed one of the top movie news blog owners, so don't miss that next week, either. And so far, Twitter is all right! Thanks to everyone who found me. Don't Sit Through Another Bad Movie Without Assistance! I considered this option the other day when I watched Mega Shark vs. Giant Octopus. I knew it'd be awful and it was actually even worse. Debbie Gibson starred and they should've let her sing. Some mall hair and crappy 80's cheese pop could have only been an improvement. So what's the best way to get through these stinkers? With help from the genius behind Mystery Science Theater 3000, of course! The show ran from 1988 to 1999 on Comedy Central and then the SyFy Channel. There were 198 episodes, a feature film, and it won a Peabody Award. Many of the episodes are available on DVD. "The series features a man and his robot sidekicks who are trapped on a space station by an evil scientist and forced to watch a selection of bad movies, initially (but not specifically limited to) science fiction B-movies. To keep sane, the man and his robots provide a running commentary on each film, making fun of its flaws and wisecracking (or "riffing") their way through each reel in the style of a movie-theater peanut gallery. Each film is presented with a superimposition of the man and robots' silhouettes along the bottom of the screen." On RiffTrax, you can find audio tracks for hundreds of movies, good and bad! Twilight, Avatar, Harry Potter - they're all available. The concept is simple - download the audio track (ranging from free to $2.99) and sync it up with your DVD. (The guys tell you just where to begin.) Adjust the TV and RiffTrax volume, and prepare to laugh! If you've never checked out RiffTrax or Mystery Science Theater 3000, I urge you to do so. You'll never have to endure a bad movie again! And I checked - Mega Shark vs. 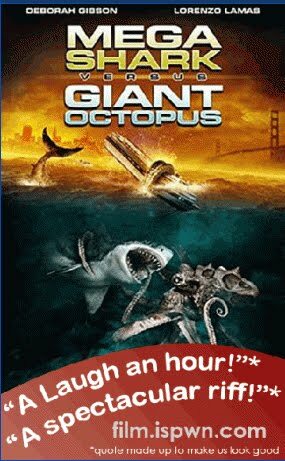 Giant Octopus is available as a fan submission - RiffTrax. You know me and movies!! Here's the rundown of some noteworthy films this month. THE BUZZ: From our Sundance 2010 blog: This sci-fi/thriller benefits from commitment of two strong actors, Adrien Brody and Sarah Polley. The mix of body horror and fantasy is overseen by executive producer Guillermo del Toro, and Dren, the creature created and nurtured by a pair of bio-chemists, is a definite homage to Pan's Labyrinth. 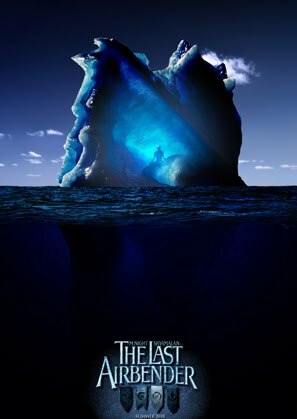 I'm seeing this movie TODAY and will post my review very soon. 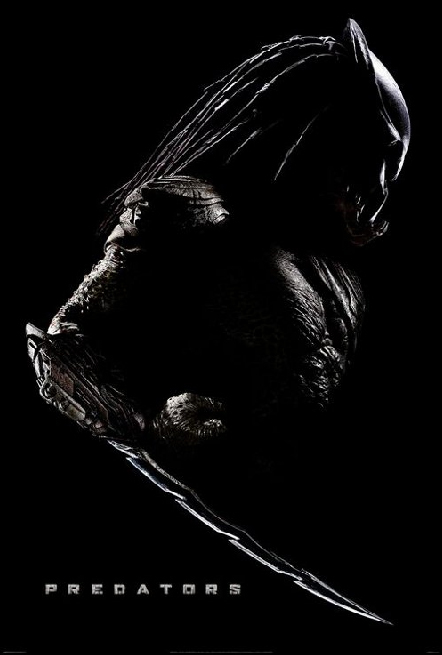 I am stoked to see this film. 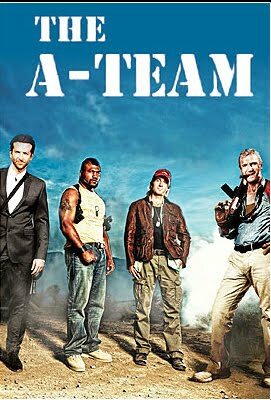 Okay, I'm a big fan of the original A-Team - so I will probably NOT catch this one in the theater. 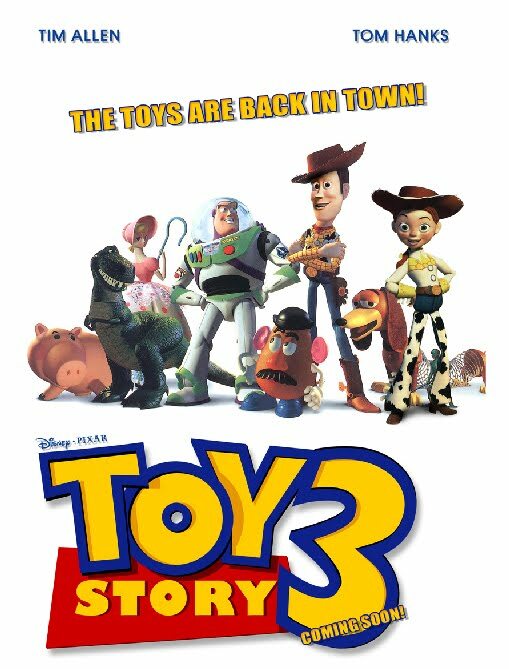 Woody (Hanks), Buzz (Allen), and the rest of their toy-box friends are dumped in a day-care center after their owner, Andy, departs for college. 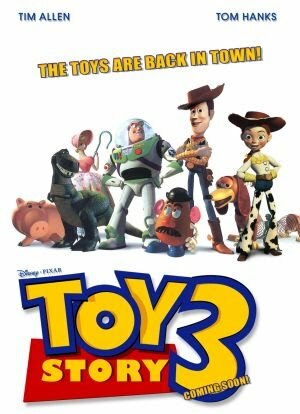 It's Toy Story! Need I say more...? 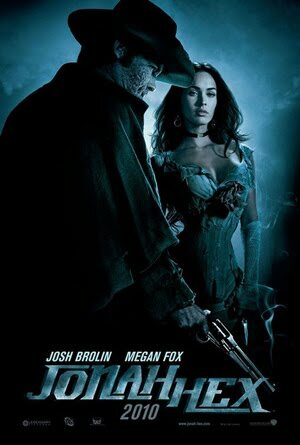 The U.S. military gives bounty hunter Jonah Hex (Brolin) and offer he cannot refuse: in exchange for his freedom from the warrants on his head, he's to take down a terrorist (Malkovich) who is gathering an army and preparing to unleash Hell on Earth. This movie really intrigues me. I'll probably do a double feature that weekend. Aang (Ringer), a young successor to a long line of Avatars, learns that he possesses the power to engage the Fire Nation and hopefully end their century-long war against the Water, Earth, and Air nations. M. Night Shyamalan. I'm not holding my breath on this one. But the previews look so damn cool! 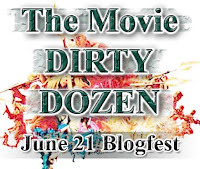 Speaking of movies - don't forget to sign up for The Movie Dirty Dozen Blogfest!